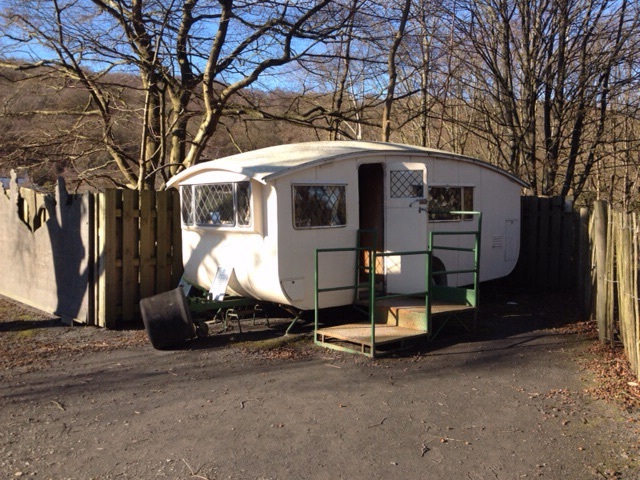 Our first trip of 2015 was in early February, back to the Coniston Park Coppice Caravan Club Site. It is open all year round, but in winter time only the top part of the site remains open. 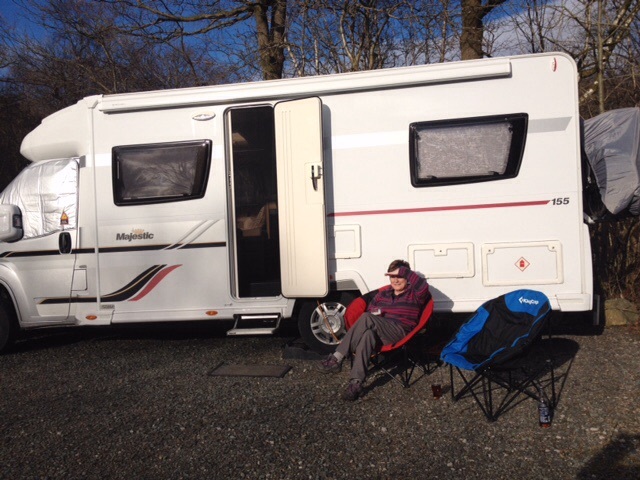 This was the site we made our maiden trip to in Jolly last March. See last year’s blog post. Special memories 😊. We stopped a couple of times en route. 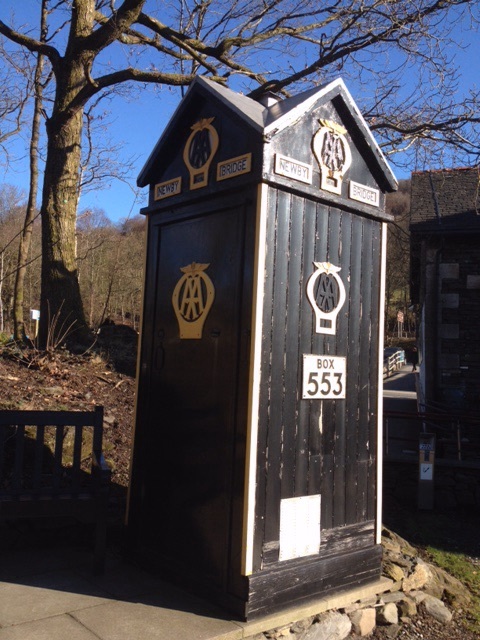 Once at the Lakeland Motor Museum and again just outside Coniston to enjoy the scenery and take a few photos. We got some sunny, if chilly, weather during our stay, and again got on our bikes to cycle the local area. The first evening we cycled to nearby Torver to enjoy some good food and ale at The Wilson Arms. We’d visited last year and it was nice to return. We sat outside until it became too cold. 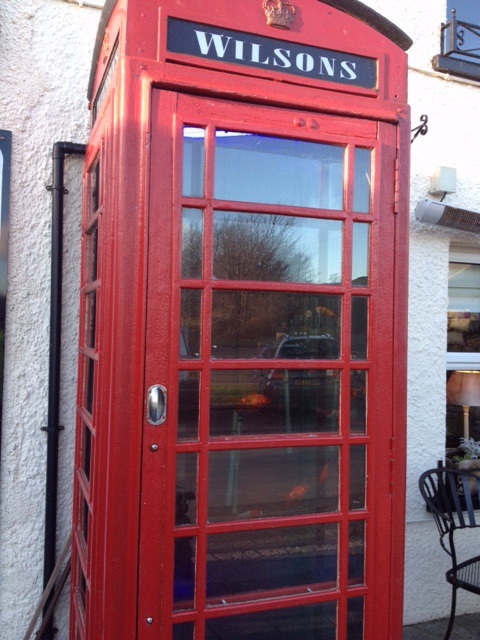 There’s an unusual telephone kiosk aquarium at the front of the pub. 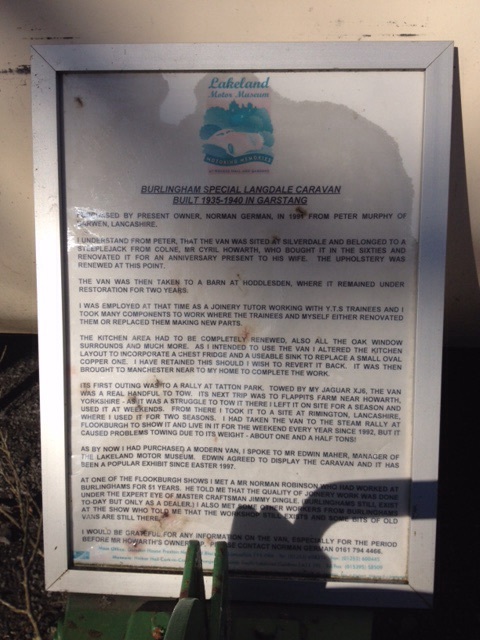 We could hear water, but it took us a while to figure out what it was (and that’s before we’d had a drink!). 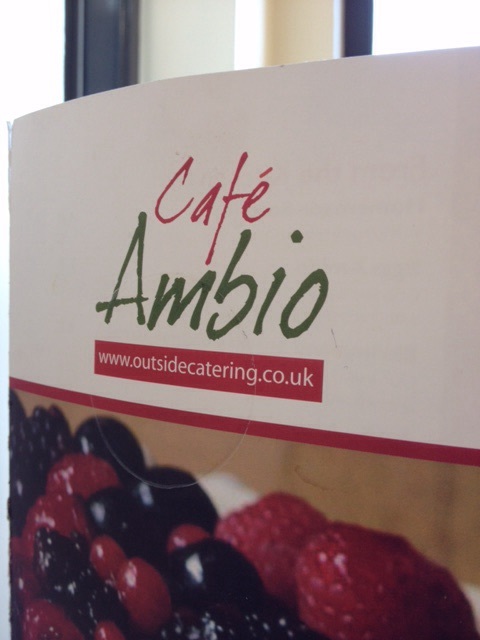 The next day we cycled into Coniston and spent time having a look around the area and shops. 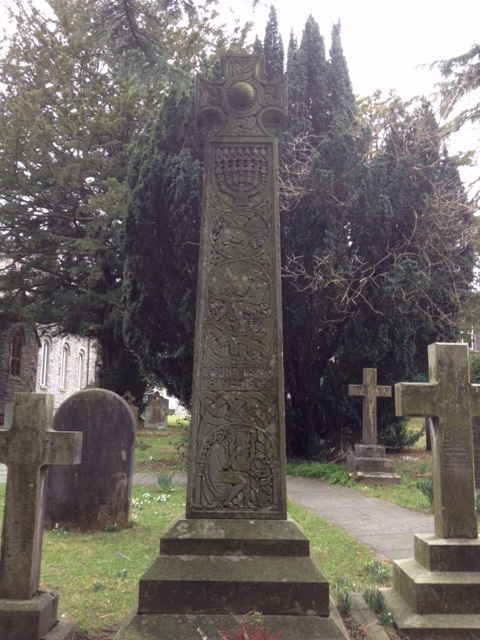 Last time we’d visited Donald Campbell’s grave, this time we saw the poet John Ruskin’s final resting place (a much larger and ornate affair!). 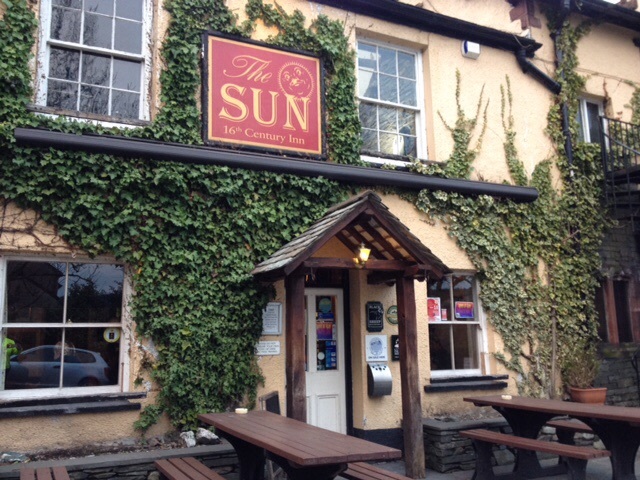 We also made a point of trekking up a steep hill to the 16th Century Sun Pub which we’d missed last time. There are a good selection of ales on draft there. Bri wasn’t disappointed! 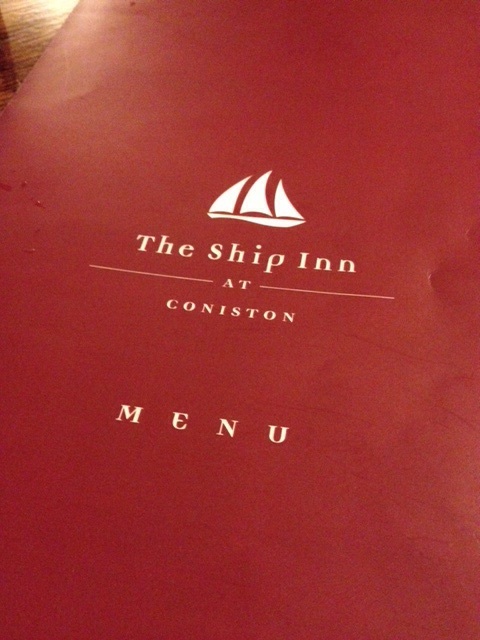 After a full day in Coniston we cycled back to the site via the main road and had tea at The Ship Inn. 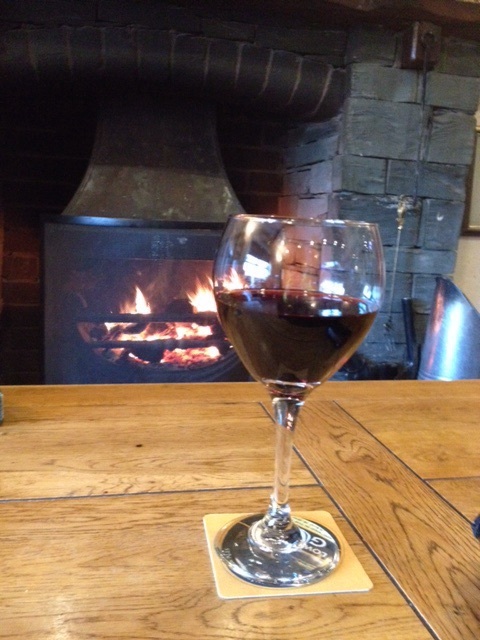 It’s a warm and friendly pub and we enjoyed our meal before making our way along a track in the dark back to the site. We always enjoy Coniston and will return here many times no doubt. Next stop though, Bolton-le-Sands in March. 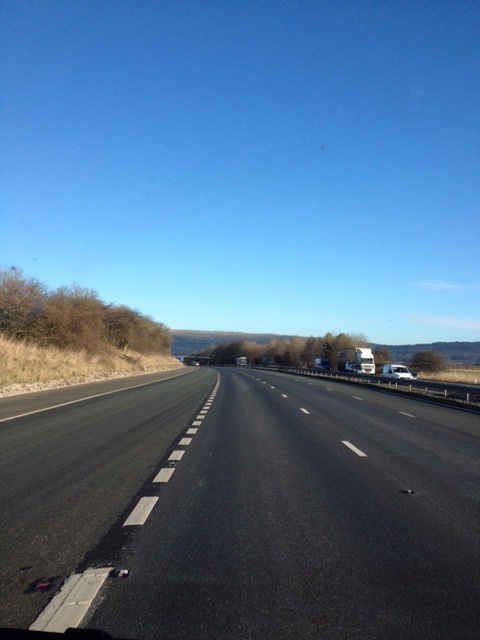 En route up the M6 🚐. Perfect travelling weather. 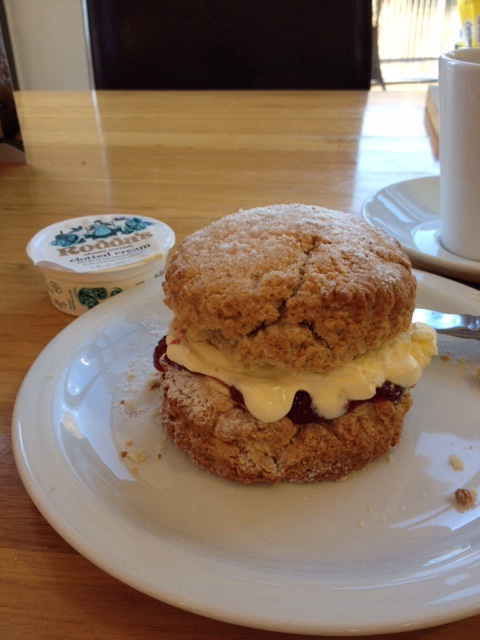 Few bites and it’s scone. Yum!